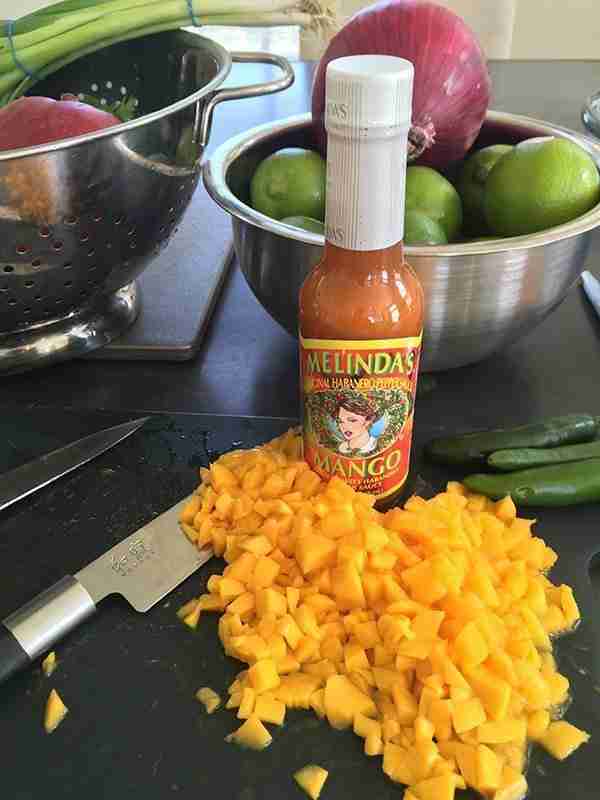 Sweet and spicy, Melinda's Mango Salsa is delicious as a party dip or on top of fish tacos and burgers, make extra because there never seems to be enough. Place your diced mango in the bottom of a large bowl and add lime juice and Melinda's Mango Habanero Pepper Sauce. Add remaining ingredients while stirring or folding them into the mixture. Place in refrigerator for 30 minutes to overnight to chill and serve with corn chips as a dip. You can also use on fish tacos and burgers. 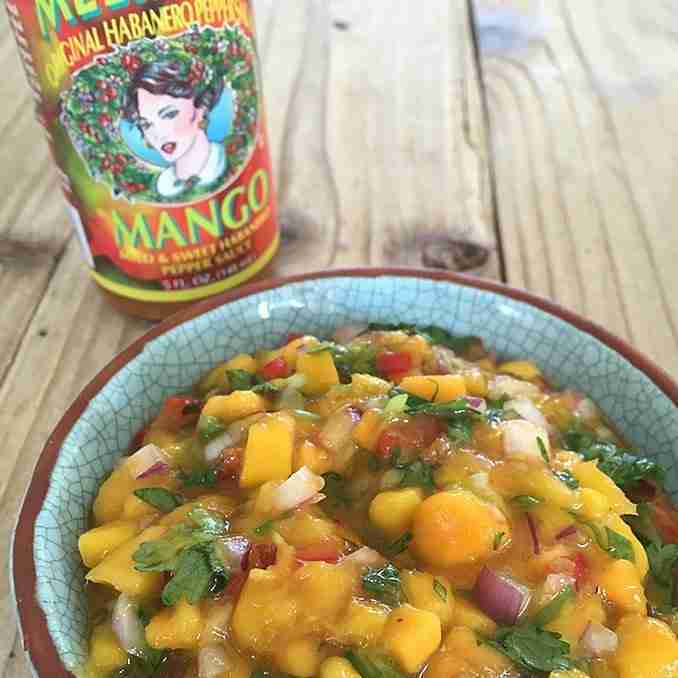 Mango salsa also goes great with grilled chicken or fish and salads. It is a versatile side dish or appetizer.